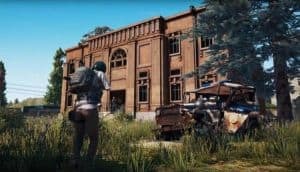 PUBG Introduces 3D Killcam, Coming with 1.0 Release | Nerd Much? The replay technology will also be used to better detect cheating in PUBG. Courtesy of Minkonet, a company that creates the 3D replay technology necessary for a killcam, Playerunknown’s Battlegrounds will soon have that technology, and it’ll be introduced with the 1.0 update. The replay technology will also be used to better detect cheating in PUBG. All replay footage will be used to gather evidence for in-game cheating. This was apparently not possible in any previous killcams, as they were primarily for the player, not for the developers to find and prevent cheating (although, we know that Blizzard has been using in-game cameras to combat cheating in Overwatch for months). With PUBG team still being relatively small, even with Microsoft’s recent involvement, the developers have not been able to focus on preventing cheating in their game. Nor did they have the technology, working instead to improve gameplay and add content to the growing game. Nonetheless, it is nice to see that some measures are being taken, as PUBG is not nearly as much fun when we know that there are cheaters running about. Not that they are as particularly prolific, as they are in games like Overwatch or Fortnite, though some regular players may argue that it’s pretty much the same. Thus far, PUBG is dealing with cheaters by simply banning them from the game. If the problem grows even more out of hand with the 3D killcam, as they will be able to find more, than perhaps more drastic measures will have to be taken. What kind of punishment do you think is fit for cheaters? Do you think a ban is enough, or do they need to be taken to court, like what Fortnite did? Let us know your thoughts in the comments below.